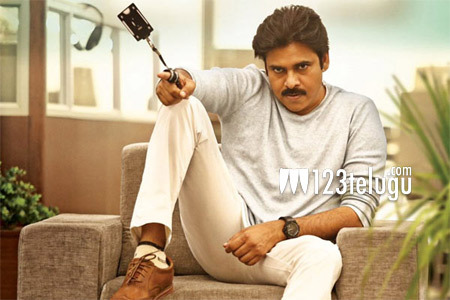 Atharintiki Dharedi vibes in Agnyathavasi? The recently released first look poster of Power Star Pawan Kalyan’s landmark 25th movie, Agnyathavasi, had an interesting tagline – ‘Prince In Exile’ along with the title. Naturally, the tagline has created a lot of curiosity among the fans. As per the latest buzz, Agnyathavasi will have Pawan essaying the role of a man who hails from a royal family, but lives the life of a common man. Incidentally, Atharintiki Dharedi, Pawan-Trivikram’s 2013 blockbuster, too, had a loosely similar plot, where Pawan’s character acts as a chauffeur despite hailing from a business tycoon’s family. One has to wait until Agnyathavasi’s release to connect the dots, if any. Agnyathavasi’s final schedule is underway in the holy city of Varanasi. Keerthy Suresh and Anu Emmanuel are the film’s leading ladies. Anirudh Ravichander is the music composer and S Radhakrishna is the producer. Agnyathavasi is slated to hit the screens on January 10 as a Sankranthi treat.